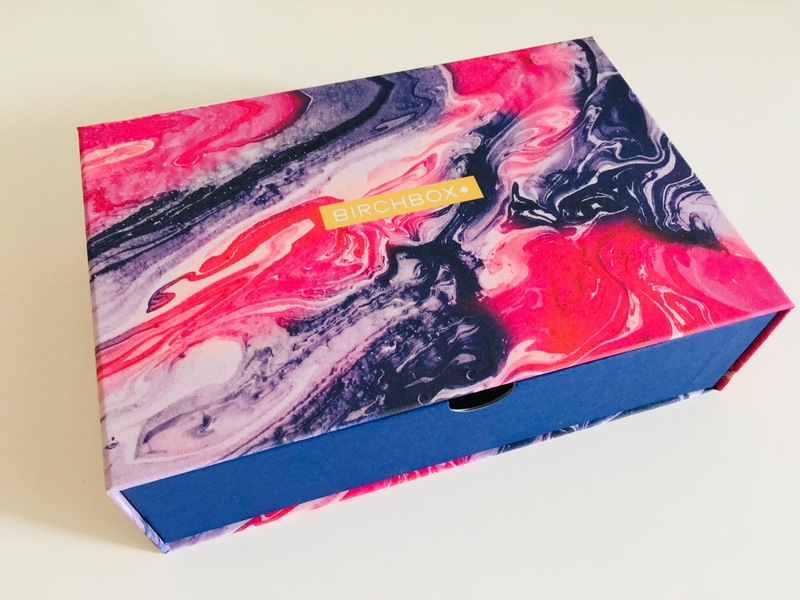 So the latest Birchbox for October has arrived through the door and I have to say that I'm pleasantly surprised by what's in my box this month! 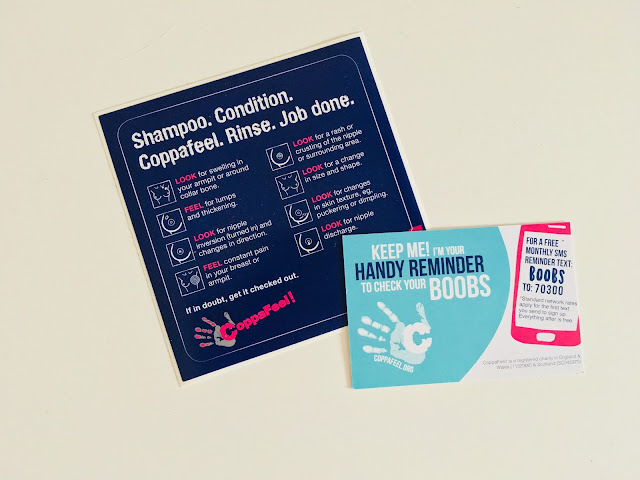 This month, Birchbox has collaborated with Coppafeel in honour of Breast Cancer Awareness Month to promote the charity and raise awareness. In aid of this, in the boxes this month there is a card and a sticker so that every woman knows what signs to look out for. With that being said, the first item which everyone has received in their Birchbox this month is from Anatomicals and is their Grab Your Melons Shower Gel - as the name suggests, it's encouraging women to 'grab their melons' whilst in the shower and check that everything is as it should be. Also, the shower gel is melon scented which smells amazing - melon is my favourite scent! Next up, every Birchbox subscriber has received either a Model Co Contour Stick or Mascara - I picked the Contour Stick for my box this month, really because I already have a hefty collection of mascara's as it is but I was also intrigued by the Contour Stick and wanted to give it a go! 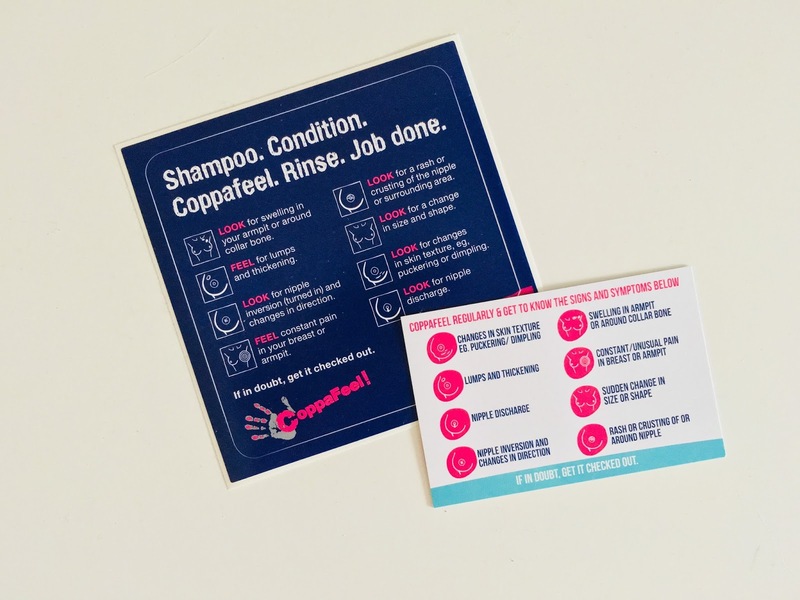 It seems fairly straightforward to use so hopefully there will be no mishaps when I use it! I received a BalanceMe Pure Skin Face Wash which will undoubtedly come in handy! It's 99% natural so it's ensures that you're really looking after your skin and getting rid of any dirt and grime that may be on your skin. The next item in my box I was really surprised to see! It's the Benefit Porefessional Pearl Primer. Benefit's Porefessional is my favourite primer, however I've only tried the original version of it. The Pearl Primer gives a soft radiance to your skin as well as prepping it so I'm really looking forward to seeing the results after I've applied it! 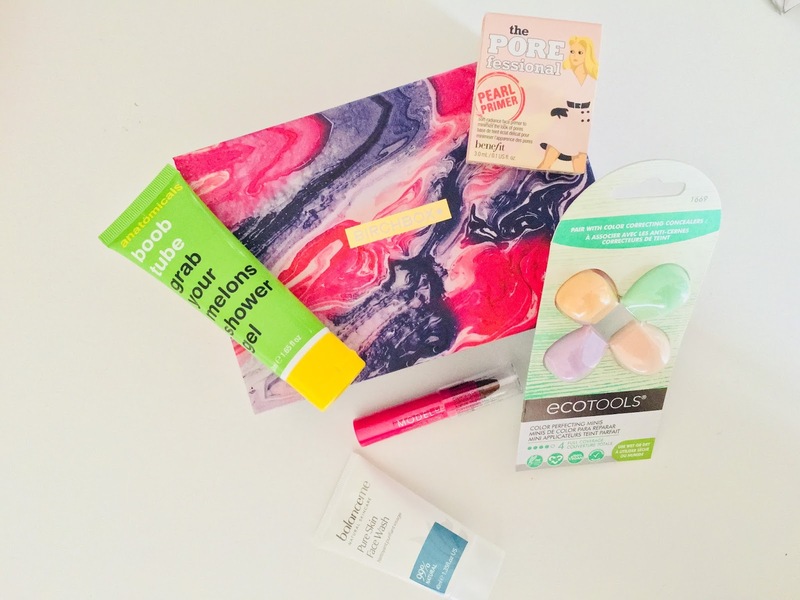 Last but not least, I received the ecoTOOLS Colour Perfecting Minis. These are little sponges which help to colour correct in certain areas of your face - the mint colour corrects redness, the pink colour corrects dark circles, the lilac songs corrects dullness and the peach colour corrects dark spots. I've never seen these before so hopefully they do a good job at colour correcting - I'm intrigued! Overall, I'm really happy with box this month, I wasn't really expecting too much from it as my last box was amazing but actually I've been pleasantly surprised with what I've received and I can't wait to start using the products which I've received!